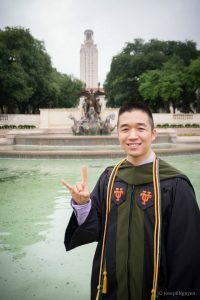 Originally from Fort Worth, Andrew completed his undergraduate studies at Baylor University in Waco, Texas before moving to Austin for pharmacy school at the University of Texas. 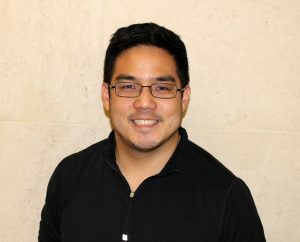 As a student, Andrew was very involved in many student organizations – APhA, Phi Delta Chi, Phi Lambda Sigma, and others. Since pharmacy school, Andrew has stayed involved as a member of the Alumni Association Executive Council and Texas Pharmacy Association. Andrew is currently working as Pharmacy Manager at HEB in Austin, Texas and relief pharmacist at Georgetown Behavioral Health in Georgetown, Texas. Eric Ho currently serves as Vice President, Specialty Pharmacy & Industry Affairs for Paragon Healthcare, a multispecialty healthcare corporation headquartered in the Dallas-Fort Worth Area. In this role he is responsible for the business and operational success of the Paragon specialty pharmacy portfolio and serves as an enterprise-level liaison to various industry stakeholders relevant to the company’s home infusion, ambulatory infusion, physician management, and specialty pharmacy business segments.Previously, Eric served as Vice President, Medication Information for RxWiki Inc. an Austin-based digital media startup and a cofounder at JunoRx, a remote prescription fulfillment technology developer. He remains deeply involved in next generation health applications especially concerning pharmacy and pharmaceuticals. Eric is highly active in healthcare leadership having actively or previously served as board member of the Texas Pharmacy Association, the Texas PharmPAC, and the University of Texas College of Pharmacy Alumni Association. He is a current member of the NHIA Standards & Accreditation Committee, Innovatix Legislative and Regulatory Advisory Board, URAC Pharmacy Advisory Group, and Texas Exes Council. Eric is deeply committed to the cause of promoting pharmacists as effective healthcare providers. Donna Montemayor is the Sr. Director of Professional Services, Marketing, & Strategic Initiatives for HEB Pharmacy. She has been with HEB for 27 years beginning as a Staff Pharmacist in Austin and has had various store, regional, and corporate management experiences in that time period. She precepts a management rotation for P4 pharmacy students & serves as the Liaison for the UT/HEB Community Pharmacy Residency PGY1 program. She also serves as the Chair of the Clinical Oversight Body and the Vice Chair for the Quality Management Committee for HEB Specialty Pharmacy as well as being on the Advisory Boards for HEB’s Health & Wellness programs. She is an active member of the Texas Federation of Drug Stores serving as a Director, a member of the Bexar County Pharmacy Association, the National Association of Chain Drug Stores, & the American Pharmacist’s Association. She is not only a Longhorn Alumni, but also a current Longhorn Mom to a senior Education major & serves on the Texas Parents Advisory Board. Mark Zamutt started out in pre-med at Northwestern University outside of Chicago, majoring in biology and chemistry. But when his father got a job as a medical research associate that brought him to Texas, Zamutt transferred to the University of Texas. Once at UT, Zamutt met with folks at the pharmacy school, and decided that it was a good fit, and enrolled in the College of Pharmacy. After graduating in 1980 with a B.S. in Pharmacy, Zamutt began his career at Safeway where he was pharmacy manager, and later worked at Brackenridge Hospital and Seton Healthcare Network (Seton Family of Hospitals) as well as a number of chain settings including H-E-B, Tom Thumb, Albertson’s, Wal-Mart, and Phar-Mor. 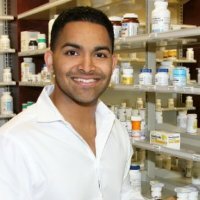 Currently, on his second stint, he is a staff pharmacist at H-E-B in Austin. Zamutt stays involved with the college, having served on the Alumni Association for a number of years as well as performing Pharm.D. admission interviews and sits on the committee. Jobby John has been a part of Martin’s Wellness since May 2014 and serves as pharmacist-in-charge at the Lake Hills Compounding and Wellness Center. Jobby’s experience includes service as a member of board of directors of the Texas Pharmacy Association, the University of Texas College of Pharmacy Alumni Association, and is an active member of numerous nonprofit and philanthropic entities. He is an avid motorcyclist and an active member of the Friars Society in which he was inducted in 2012. 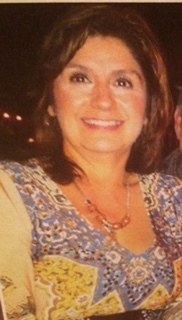 Alma Y.Gutierrez, graduated from The University of Texas College of Pharmacy in 1985. She is a native from Harlingen,Texas located in Rio Grande Valley. After graduating in 1985, Alma spent the next 20 years working in San Antonio, Texas for H-E-B Pharmacy. Her pharmacy career began as a staff pharmacist and then Pharmacy Manager in San Antonio,Texas. During her tenure at H-E-B, Alma was promoted the following positions, Regional Pharmacy Development Manager for the South Texas Border Region, Regional Pharmacy Director for Border Region and lastly Corporate Pharmacy Director of Store Operations in San Antonio. 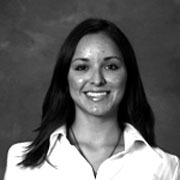 In 2005, Alma joined CVS/pharmacy and oversaw the acquisitions of Eckerd Drugs and introduced CVS/pharmacy into the Texas Market .Throughout the next 11 years with CVS, Alma has held positions of San Antonio Pharmacy Supervisor, Pharmacy Manager and is now currently committed to serving patients and her community as Pharmacist for CVS. Alma has served her local community as a member of American Diabetes Association Board of Directors for San Antonio and as Clinical Adjunct Assistant Faculty at Feik School of Pharmacy , at University of the Incarnate Word from 2006-2014. Alma currently resides in San Antonio, Texas with her husband, James A Aulds and daughter Sevilla. Bethany Boyd, B.S. ’88, M.S. ’94, and Ph.D. ’97, has been active in professional pharmacy association leadership at the local, state, and national levels throughout her career. She has served since 2000 as a Medical Outcomes Specialist for Pfizer Inc. She has served in the American Pharmacists Association as Speaker and Speaker-elect of the House of Delegates (1999-2001) and as member of the Board of Trustees (1999-2001); in the Texas Pharmacy Association as Vice President (2004-2005) and as Member at Large of the Board of Directors (2003-2004). She has served on the board of directors in the El Paso Pharmacy Association (2005-2009), the Dallas County Pharmacy Association (2009-present) and the Bexar County Pharmacy Association (1998-2001). She was President-elect and President of the Dallas County Pharmacy Association (2012-2014). She has been a member and served as President of the UT College of Pharmacy Alumni Association (since 2005) and helped establish the association’s student mentoring program in 2011. In addition, she has served as an adjunct clinical professor for Texas Tech School of Pharmacy and a visiting instructor within the School of Nursing at the University of Texas at Arlington. In 2012, she was named a Fellow for the American Pharmacists Association-Academy of Pharmacy Practice and Management and was the recipient of the Texas Pharmacy Association’s Individual Educational Excellence Award in 2005. She has been honored as a Pfizer Value Maker (2006), received the Pfizer TACU of the Year Award (2004), and received the Pfizer MOS Inspire Award for the South/Mountain region in 2016. 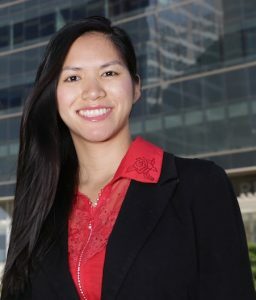 She was cited as presenting the Outstanding Poster by the Texas Society of Health-System Pharmacists (2004), admitted to the Leadership Circle of the UT Austin College of Pharmacy, and honored as the Texas Distinguished Young Pharmacist of the Year (1993). She lives in Allen with her two sons, Hayden and Graham, who are currently UT-Austin students. Bethany was awarded the UT College of Pharmacy’s William J. Sheffield Outstanding Alumnus award in 2015. Dr. Ramirez is the Regional Clinical Coordinator for the Rio Grande Valley. He has served in this capacity since 2009. Dr. Ramirez is a 2003 Pharm.D. graduate of the University of Texas College of Pharmacy. He currently serves as the Clinical Coordinator for Pharmacy Services at Rio Grande Regional Hospital (an HCA facility) in McAllen, Texas. 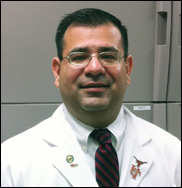 Dr. Ramirez has experience in various aspects of pharmacy practice including institutional/clinical pharmacy practice, clinical consulting, community pharmacy practice, and also served as a faculty member for the Cooperative Program in the Rio Grande Valley during the 2006 academic year. Dr. Ramirez currently serves on the Clinical Pharmacy Advisory Board, and the Pediatric Concentration Standardization Committee for HCA. Dr. Ramirez is board certified in pharmacotherapy. 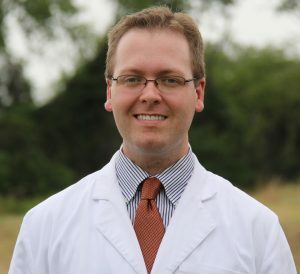 He is an active member of APhA, ASHP, TSHP and ACCP. 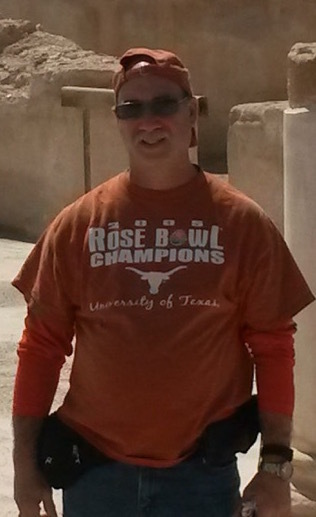 Dr. Ramirez bleeds orange and loves anything and everything related to Longhorn Football, and spends his Saturdays during the Fall Semester at DKR. Raised in Houston, Texas, Anne received her Bachelors in Biology and Doctor of Pharmacy degree at the University of Texas at Austin. She completed a combined PGY-1/PGY-2/MS Health-Systems Pharmacy Administration (HSPA) residency program at the Michael E. DeBakey VA Medical Center and obtained a Master of Science (MS) in Pharmaceutical Health Outcomes and Policy at the University of Houston College of Pharmacy. After residency, she obtained a hybrid administrative and clinical position at the University of Texas MD Anderson Cancer Center as their Internal Medicine/Transitions of Care Clinical Pharmacy Specialist. Some of her responsibilities include implementing a patient-centric pharmacy practice model by project coordination, education and training, mentoring, and oversight and participating in evaluation of outcomes, EHR development, and clinical practice. She has strong interests in transition of care initiatives, clinical management, patient safety/process improvement, and public health. Activities for alumni are directed by the executive council of the Alumni Association.